Curtis G. Coetzee is an associate attorney with Kurtz, Anderson and Associates. Born and raised in Johannesburg, South Africa, he moved to Texas along with his family at the age of 14 years old. He graduated from Flagler College in St. Augustine Florida with a degree in Economics, and completed his Juris Doctor at Trinity Law School. While completing his Law degree, he was selected as a student tutor and received multiple Am Jure awards for his academic achievements and graduated in the top of his class. Prior to joining Kurtz, Anderson and Associates, Curtis practiced in several areas of law including family law and business immigration. 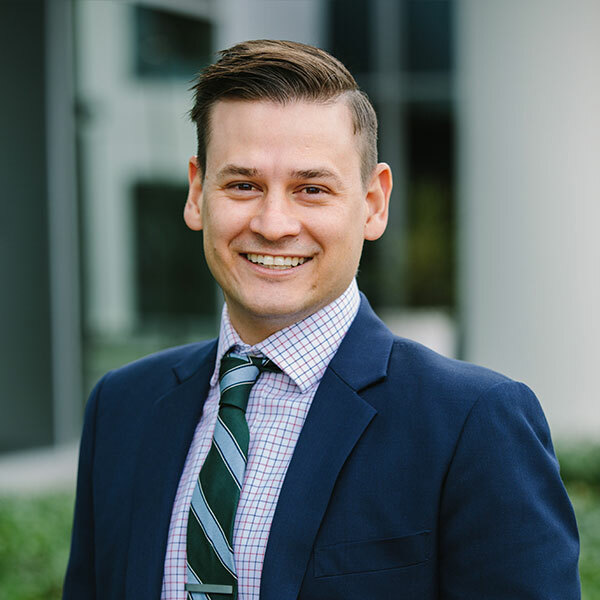 Curtis became an associate with the firm in August 2016 and has focused his practiced on estate administration, estate planning, business matters, and immigration. Curtis enjoys working closely with individuals in preparing them to make informed choices in relation to their lives and helping clients understand each process in order to enable them to make the best possible decision for themselves and their family. Curtis enjoys spending his time outdoors and is an avid golfer. He has extensive experience volunteering for international non-profit entities focused on helping underprivileged children. He enjoys spending time with his family, friends, and loves to travel.